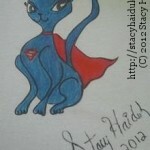 Stacy debuted the first two images she created for the upcoming charity auction to benefit Save A Kitty, CA. You can comment on these on her facebook page. 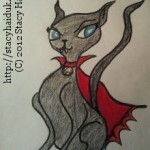 ← Previous Previous post: Stacy on The Soap Series Tonight at 9/8CT!